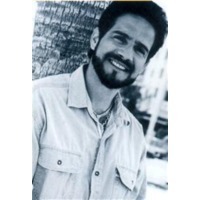 Frankie Ruiz (March 10, 1958 - August 9, 1998) was a famous Puerto Rican salsa singer. Born Jose Antonio Torresola Ruiz, he was born and raised in Paterson, New Jersey. His parents moved from Puerto Rico to the United States in search of a better way of life. In Paterson, Ruiz received his primary and secondary education. As a child he enjoyed singing to the tunes of salsa and as a young man joined a local band called The Charlie Lopez Orchestra. With this band he recorded his first song Salsa Buena. In 1976, Ruiz moved to Mayagüez, Puerto Rico with his mother after his parents divorced.